NEW SUPERFOGEYS T-SHIRT NOW AVAILABLE FOR PURCHASE! Anybody remember SF 201? C’mon, it’s not that hard. It was just a week ago. Still nothing? Okay, try this link. Remember now? Okay, good. 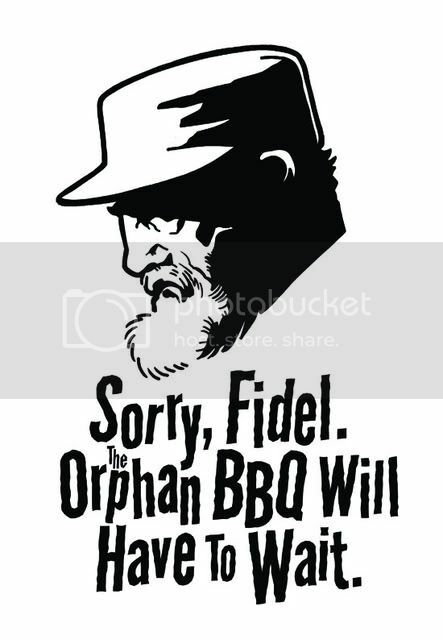 Tall Tale Radio Host, super stud (so I’ve heard) and all-around good guy Tom Racine mentioned in the comments last week that one of the lines in 201 would make for a good T-Shirt. It was an off-handed comment, just a way to let me know he appreciated what was going on in that strip. So of course I took his idea and ran with it. So there you go! I actually pay attention the comments I’m responding to. Who knew? 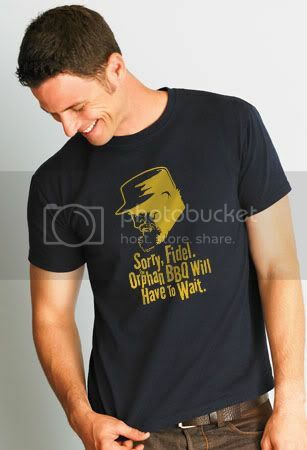 You can order your “Sorry, Fidel” T-Shirt , along with the other SF T-Shirts and books right here. Have you guys ever heard of this? Got an email yesterday letting me kow that they’d decided to spotlight SF and the new book and then had a grand time chatting with those of you who caught my alerts on Twitter and Facebook. Don’t know if SF will still be the spotlight item today, but if it is come on over and join us. Feel free to discuss anything–including today’s strip! There’s a bomb about to go off over at SuperFogeys Origins and somebody besides Captain Spectacular is going to have to save the day because, well, you’ll see… And then, on Thursday, SF 203 drops and the Third Man and Dr. Rocket continue to break it down. You don’t know everything…yet.